Bafana Bafana international and former Mamelodi Sundowns star Percy Tau insists he is unfazed by people’s opinions on his loan move to Royale-Union Saint Gilloise. The 24-year-old South African joined Premier League side Brighton & Hove Albion last month for a reported South African record fee off the back of a stunning campaign where he was named Absa Premiership Footballer of the Year. Tau, however, was subsequently loaned to the Belgium second-tier outfit with critics and media outlets citing the move as a step in the wrong direction. 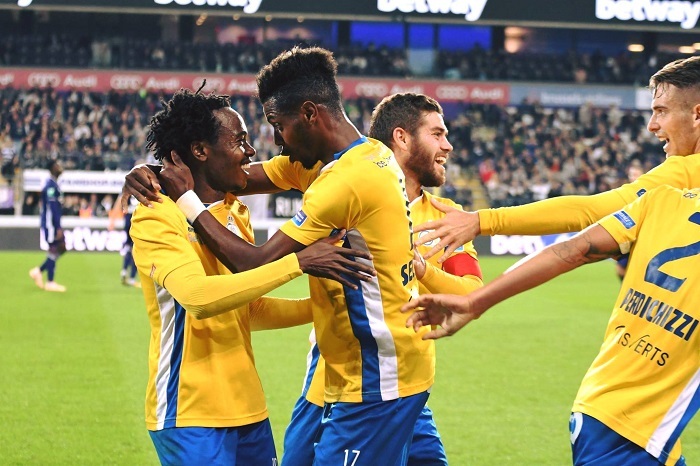 The Bafana international has hit the ground running with Saint Gilloise, most recently netting a goal in the 2-0 victory against KV Westerlo. ‘All is well in Belgium. We are on top of the log at the moment. We have had good performances in the cup and league and I believe that we are beginning to get stronger as a team. ‘People will always have opinions on things and they are entitled to that. I am happy with this path I have chosen because I have done it before and things worked out in my favour. ‘I once went out on loan to Witbank Spurs and things worked out pretty well for me later on,’ he asserted before adding that the recent move was a strategic and wise one.